How was the weekend huh? Well I had a superb weekend, mainly spent by visiting my near and dear ones. Today I shall be discussing about my recent jewellery item purchased from a new website which I have come across recently via Facebook. Now what the product is all about and how was the overall shopping experience, to know more read ahead. Everstylish.com is a Monthly Sales Club and provides you with great deals on luxury brands from across the world. Every week we bring you the most exclusive sales in a wide range of apparel and accessories from brands and collections from across the world. Our primary motto is to bring you great products at the maximum discounts possible. We aim to provide best-in-class shopping experience to you by way of stunning visual content, exceptional customer service, constantly building on trust and dependability and offering best of the premium and luxury goods in the country. Down the line, when you think of style, we hope you think of Everstylish.com. Payment terms-We accept payment through Cash-on-Delivery. COD is available across India. Shipping Charges- We offer free shipping on all orders of Rs. 999 or more. Shipping charges of Rs. 60 will apply to orders below Rs.999. Shipping charges may vary for promotional offers. It was in the last month while I was casually looking for my friend’s updates on Facebook and suddenly an advertisement of Everstylish.com popped up on the side panel. Out of curiosity I clicked on it and thus stumbled upon this site and their jewellery & dress collection. Before this, I had never purchased any dress or jewellery item online. 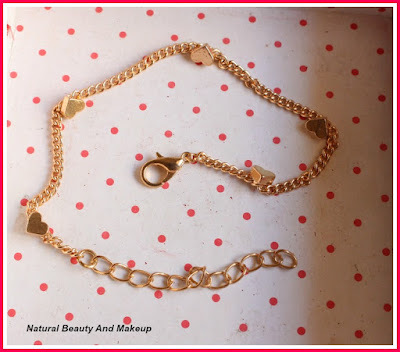 This is my first ever online jewellery shopping. This site has amazing jewelry designs with huge discounts :D You just visit the site and I know these designs will definitely lure you and you will be interested to buy at least one item from them like me! 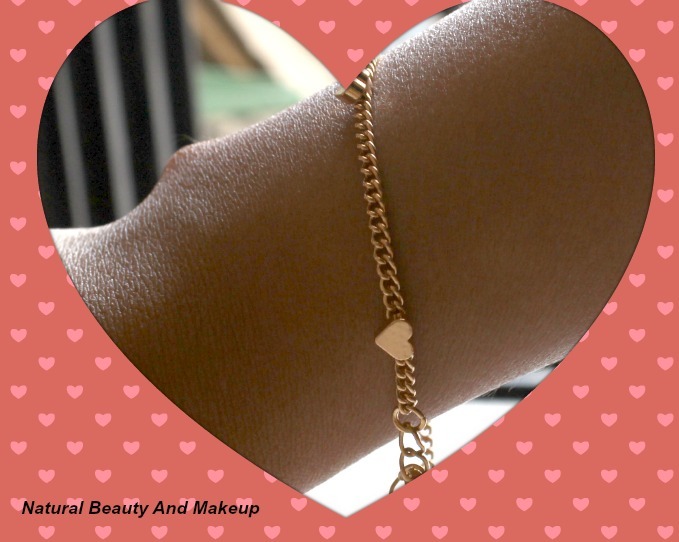 Amongst all the jewelry items, I chose this Golden Hearts Bracelet. 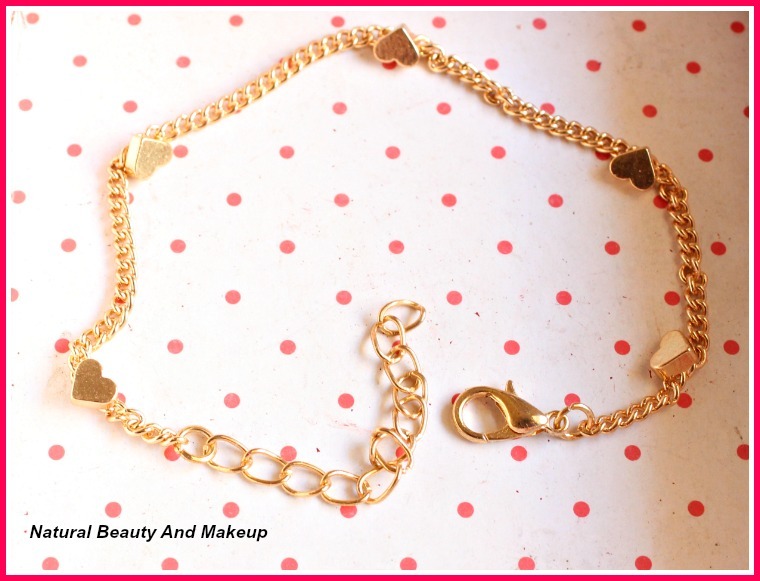 I wanted to buy neck pieces too but resisted myself and bought this bracelet only. The actual price was mentioned as Rs. 999 but it was on discount offer, thus got at Rs 249. With the shipping charges Rs 60, I paid total amount for this bracelet is Rs. 309. The Golden heart bracelet is gold toned link chain bracelet with amazing 5 hearts shaped charms detail and is secured with an adjustable lobster clasp. They have not furnished the full details about the bracelet. It is just a metal with a gold finish. I have to check whether it changes its color when comes in contact with water or not. Till now it is fine, moreover am least bothered of this issue! 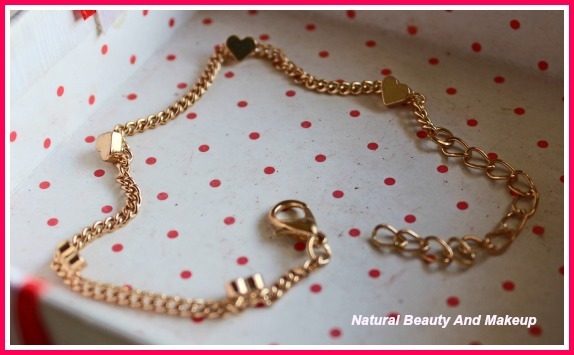 I feel the design of this bracelet is subtle yet gorgeous. It is trendy, chic and fashionable too. It can be worn as a casual wear also. This product was delivered to me within a week of placing my order. They communicated with me over mail and message just like other sites. I’m pretty much happy with their customer service. One thing which I felt is they have mentioned the real price of it as Rs. 999 but the quality wise I cannot relate to it. It seems cheaper than that, though they are selling this on a much discounted price at Rs 249. 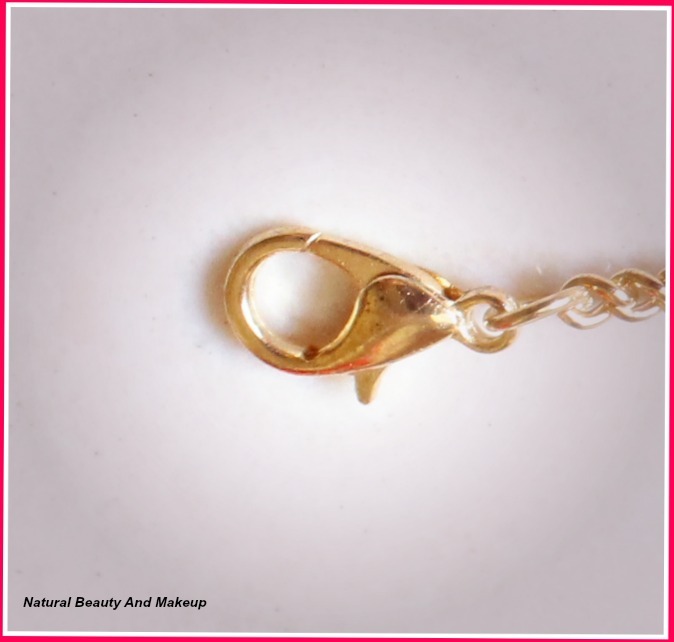 Nowadays there are hell lot of sites which are selling fashionable clothing and jewelleries online. My advice would be to visit this site and see their collections once at least. Compare and then buy those things only which you feel is perfect for you! I am currently in love with this and flaunting this bracelet on every occasion these days. Hope you liked this review. Have You Ever Bought Any Jewellery Item From Everstylish.com? How Did You Like Their Collection? Please Share With Me In The Comment Section Below. that is a pretty bracelet. I love such dainty ones..
the star ring and spider pendent would be my pick...heading to check it out.. The bracelet looks very cute. Love the tiny hearts in it. My recent post: My February 2016 Beauty Favorites !! Yes I completely agree with you Swathi :) well thank you.. This certainly looks stunning.Love the little hearts in between.Thank God they do cod.I refrain myself using my card for online shopping.Will surely give it a try. such a cute braclete. I have heard so many times about Everstylish.com but never tried it. This website has so cute jewellery. I must go for it. Try once Rishika, they have nice designs with good discounts :) :D Thank you.